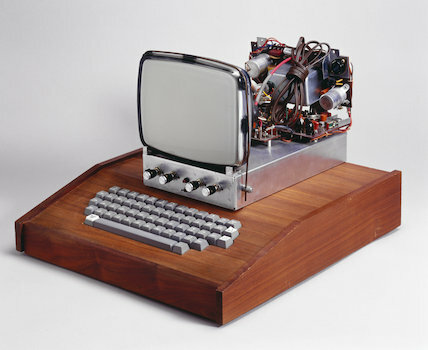 This was the first computer made by Apple Computers Inc, which became one of the fastest growing companies in history, launching a number of innovative and influential computer hardware and software products. Most home computer users in the 1970s were hobbyists who designed and asembled their own machines. The Apple I, devised in a bedroom by Steve Wozniak, Steven Jobs and Ron Wayne, was a basic circuit board to which enthusiasts would add display units and keyboards.